From Kermit in The Muppets to Rygel in Farscape, who is your favourite puppet from TV? It could be from a TV series or stand-up comedian's show. Great question! 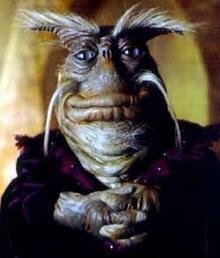 I think probably Pilot from Farscape, because he is so very alien looking. Pilot was an excellent piece of engineering. I would also have to go with Pilot. Elmo, he's as cute as any 3 year old! 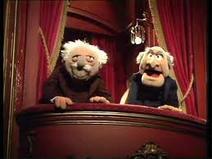 I use to LOVE the 'Two Old men'' on the Muppet's. They use to make up the best jokes.What a crack-up!! My favourite is Thor, the Asgard from Stargate. Yeah, he was well done.